The RAD is a worldwide organisation of teachers with their own syllabus for children and students both amateur and professional. There are many benefits of becoming an RAD teacher. Teachers may take examinations up to University level, enter candidates for examinations, take part in courses and summer schools and be part of a globally renowned organization. Their examinations are government accredited. They are now collaborating with the IDTA and recognize one another’s qualifications. The IDTA is an organization of teachers of dance for whom it provides a comprehensive examination service. It is responsible for more examinations in dancing than any other similar organization. The Association is a member of the Council for Dance Education and Training and the Central Council for Physical Recreation. The IDTA are now collaborating with the RAD and recognize one another’s qualifications. 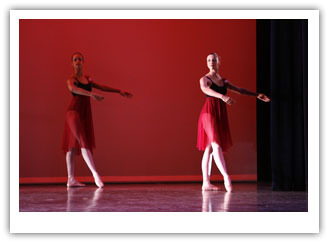 The Dance Foundation Course is a one or two year course depending on the standard at entry. The course concentrates on building up strength and technique to a standard required for the Intermediate Examinations of the UK teaching organisations, or entry to National Ballet Schools, modern dance or jazz courses. It prepares for the teaching examinations of the different teaching organisations and is an excellent start for those preparing for the stage. 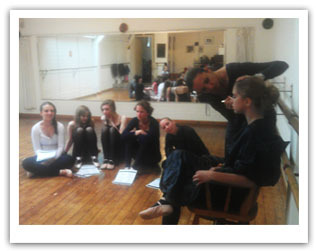 The Dance Foundation Course is suitable for: Students who wish to teach dance. Students who wish to take teaching examinations of the RAD, ISTD or IDTA. Students who wish to enter National Ballet Schools or other professional dance courses or continue with the dance pragrammes of the RAD, ISTD or IDTA. Gap year students who would like to spend a year in dance between other studies. Teachers who wish to update their skills. Ex Professional Dancers are eligible to progress to the Higher Teaching examinations of the IDTA if they wish. The Licentiate is based on the work of the Advanced 1 and the Fellowship on the work of the Advanced 2. Examinations are based on knowledge of the syllabus and Teaching Methods. One day courses are suitable for ex dancers who are already experienced teachers, with all the background knowledge that this implies, but who would like to gain a recognised Teaching Diploma with a UK Teaching Organisation. They would need to be able to work independently, but it would include e mail and telephone access and weekly reports etc. One Day Courses would take place on Friday mornings.